Salzburg is a city in central Austria, at the northern edge of the Alps. It has a population of approximately 150,000 people, which makes it the fourth-biggest city of Austria (after Vienna, Graz and Linz). Salzburg was capital of an independent principality until the Napoleonic Wars; it became part of Habsburg Austria at the Congress of Vienna in 1815. Today, Salzburg is the capital of a province (Bundesland) of the same name. Salzburg is a very popular tourist destination and famous for mainly four things: Its Baroque architecture and general prettiness (the old town is a UNESCO World Cultural Heritage Site); as the birthplace of Wolfgang Amadeus Mozart; the world-class Salzburg Festival, a series of opera, concerts and theatre performances during the summer; and as the place where the movie “The Sound of Music” was shot. Salzburg is located in a very pretty part of Austria, where the Alps meet the flatter hill region to their north, with lots of lakes within easy reach in the Salzkammergut and the Salzburger Seenland. The city itself is situated by the river Salzach and at an altitude of approximately 430 metres; it is shaped by several hills. The exceptionally well-preserved Medieval and Baroque old town (city centre) is testimony to the wealth of the former city-state. This was primarily due to salt and gold mining in the south of Salzburg. The heyday of the principality was in the 17th century, when Salzburg was among the richest areas in Europe. 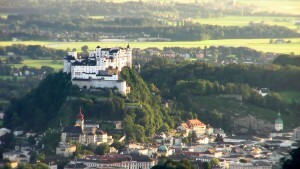 After a few bleak decades in the 19th century, Salzburg is now again among Austria′s richest provinces. This is mainly due to tourism (skiing in the south, some hiking, all-year-round sightseeing tourism in the city, plus the Salzburg Festival). Other major industries are metals and associated high-tech businesses; beer (Stiegl is the biggest brewery of Salzburg), fashion (traditional clothing) and luxury items. 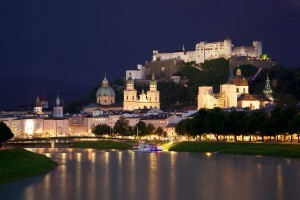 There are four universities in Salzburg city and one in nearby Seekirchen. That being said, Salzburg is not a very studenty city: It is generally considered to be a wealthy, conservative, exclusive and religious place. It serves rather for the needs of its senior population than for its junior one. Some important facts for tourists: If you want to do proper sightseeing, plan to spend at least two to three days in Salzburg.